One of the things that I fear most about posting Hello Kitty crap is that it will lead to more Hello Kitty crap in my email. A perfect example is when I posted the Hello Kitty shooting target on Facebook. 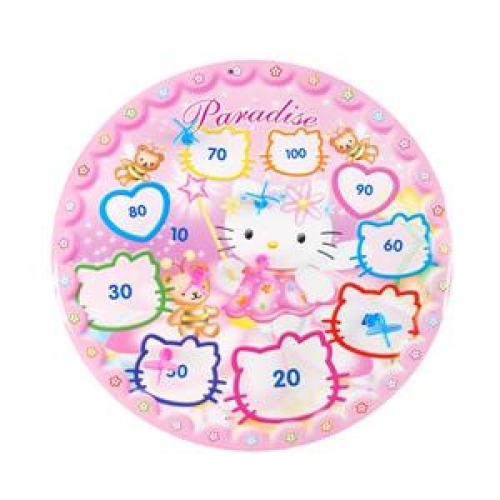 Christine then offhandedly asked the question, “For those who don’t have access to guns, how about a Hello Kitty dartboard?” Guess what ended up in my mailbox a few days later? Was there any doubt that it was a Hello Kitty dartboard?